I believe that travel makes one happy! I’m sure that in the moments before embarking on a trip, everyone is filled with a sense of joy and excitement. In addition to coordinating basic transportation and lodging, you may go online to check out different sights to see or things to do on the trip. In addition to planning my itinerary, I will also do a detailed check of my luggage. Is my clothing appropriate? Are there any special local customs I must adhere to? Of course, most importantly, I must make sure I am prepared to document all the exciting new experiences and places I am about to explore. Have I brought my phone, camera and video recorder? Batteries, memory cards and chargers? Each of these small things could significantly affect the experience on a trip! On your journeys, you will undoubtedly come across many places, people and things that will touch you. I enjoy taking pictures in order to document these special moments. From wide angle landscapes, to the flowers on fence or the innocent joy of children, all attract a deep interest from me, causing me to press the shutter button again and again. I use different composition techniques to display the subject and the surrounding atmosphere in order to best convey the feeling that has captured me in the moment. I hope that my photos can arouse a curiosity in the viewer. Why have the flowers opened so brilliantly? Why is the girl smiling shyly? What is the reason for the hint of trepidation behind the child’s bright eyes? At the conclusion of a journey, I bring back the many memories and stories that I have documented. This also marks the start of a very busy period of work. It goes without saying that I will first save a copy of all the photos from my camera’s memory to my computer. Next, I will check and refine my photos, finely editing for light, color, warmth, etc., in order to convey different feelings and emotions. After this I will render my photos into appropriate sizes for sharing. In the past I have used external hard drives to backup my photo collections, but found that these drives provided slow transfer speeds, were not convenient to carry and had limited capacity. If capacity is not enough or I encounter a problem with the hard disk, I would have to move my data to a new hard disk piece by piece. Sometimes I would also have to tediously weed out the shots that I didn’t want in order to free up storage space. Day by day, I started to amass a large collection of external hard disks, with my data being spread out among all of them, making it difficult to search for specific files. But because of improvements in Internet technology, and due to a friend’s recommendation, I have started to use a NAS, which has helped to solve my long-time backup problem. In Addition to Photography Those that love photography will agree with me that backup is paramount. Each photo is not just a photo. It represents what a photographer has seen and felt, and it records an individual’s personal journey. Commonly, users will first backup copies of their photos on their computer although additional backups are also a must. However, the ASUSTOR AS-602T NAS has changed my storage methods. I have discovered that a NAS can save and backup simultaneously, helping me save time. As the AS-602T is a 2-bay NAS, I can install 2 4TB hard disks and the system will help me create a storage volume with a mirrored backup (RAID 1) during the installation process. This means that whenever I save files to the NAS, the files will be saved 2 times, once on each hard disk, giving me worry-free data protection. In addition to storage, there is a problem that creates headaches for many people: organizing and filing their photos. In the past when I was using external hard disks for storage, I would have to buy a separate disk for each year or trip in order to make it easier to find specific items. But now that I am using the AS-602T, I can create shared folders and subfolders, using them to neatly organize my photo collections. Because of this function, I have bought larger capacity hard disks in order centrally store all of my photos on the NAS. Those that love photography will agree with me that backup is paramount. Each photo is not just a photo. It represents what a photographer has seen and felt, and it records an individual’s personal journey. Commonly, users will first backup copies of their photos on their computer although additional backups are also a must. My friends all know that I have thousands and thousands of photos, asking me to share them all the time. But, as many photographers know, when using the RAW image mode to take photos, individual file sizes can easily reach 10-20 MB. Even rendered high resolution photos can reach around 8 MB, making them inconvenient to send via email. Sharing photos with friends on social media platforms is convenient but the compressed images take away from the brilliant details that photos should have. With the AS-602T, I have found many methods for sharing my photos in their original quality. The method I recommend the most is the Share Link function which allows me to send a download link for any file to the recipient. I can also set an expiry date and password protection for the link. Additionally, installing the online album App, Photo Gallery, has allowed me to exhibit my works online. 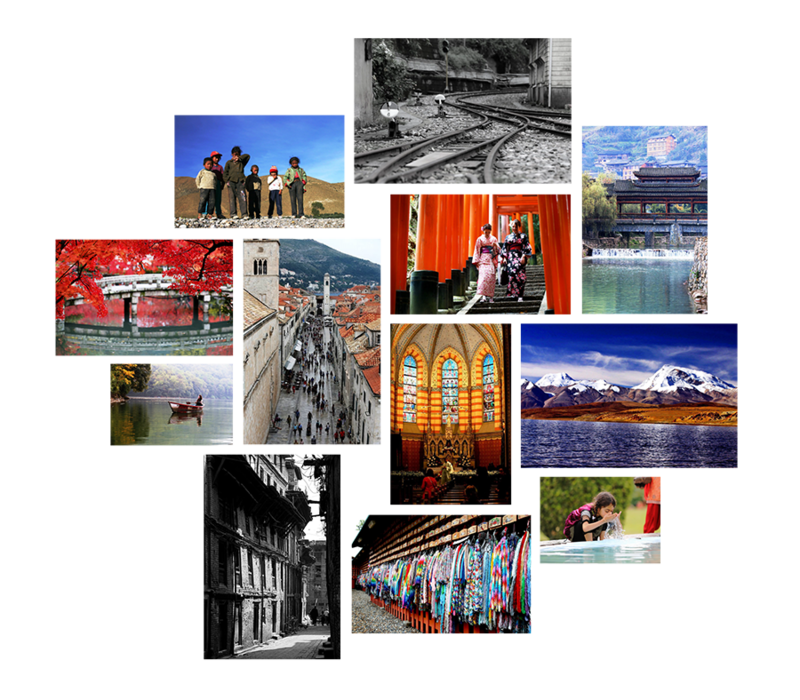 My friends can now view all the photos taken on my travels and also download the original high resolution files to keep for themselves. In the past, I remember being very interested in Middle Eastern culture and planning a trip to Syria. As my plane touched down in Syria I could hardly contain my excitement. I had an unbelievable time there, but unfortunately for me, when it was time to leave all of my electronics were confiscated and destroyed due to stringent customs checks and national security issues. How painful it was to see all of those experiences and memories taken away like that! Today, I make sure that I have all of my works backed up on my AS-602T. The simple interface allows me to get everything done with ease. Now I can freely travel the world in search of new stories and experiences while leaving backup and storage to my trusty AS-602T.